Celebrating a child’s first birthday is a very important time for parents, family and friends. Add to the birthday excitement by choosing the perfect first birthday party theme. 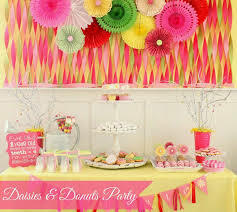 Many themes exist for both boys and girls and they can make for a great one year old birthday party. Many people – young and old alike – are Disney fans. A Disney theme can lend itself for a great one year old birthday party. Some ideas for party themes for a one year old include Mickey Mouse, Minnie Mouse, Disney princesses, Tinker Bell and Winnie the Pooh. It’s easy to incorporate a theme into many aspects of a party. Begin with the invitations and use the theme when it comes to table decorations, paper products, including table cloth, balloons, party favors and thank you cards. In some cases background music can also be added to the theme. A circus theme can be really fun. If finances allow, renting a kid’s train could be the highlight of the party. A train rental would also work with a Thomas the Train theme. If the birthday child loves animals, a farm theme or baby animal theme would be a delight. A great addition to this theme would be to rent animals from a petting zoo. Although usually a theme revolves around the child, the theme could revolve around the special interests of the entire family. For example, if the family is really into bowling, create a future bowler theme party. If the family loves to go camping, make camping out the theme, including setting up a tent for kids to play in. Creating a celebration for a one year old birthday is exciting and a very special time for families. Even more fun is to plan a party with a theme. Although the baby won’t remember, everyone else will. What’s great is that there are so many themes to pick from to make a one year old’s first birthday special and memorable.